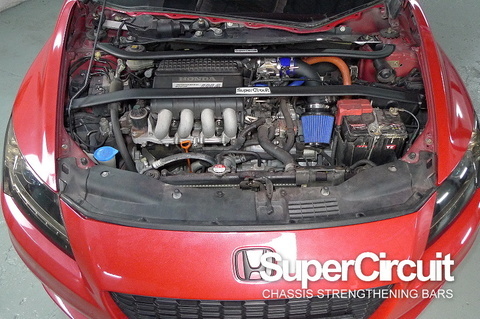 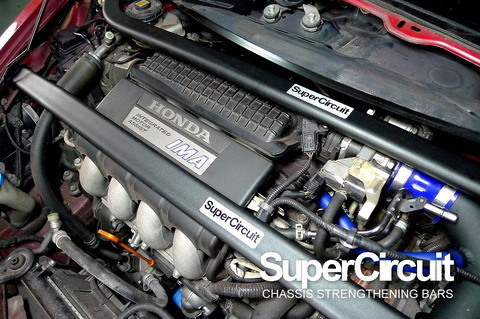 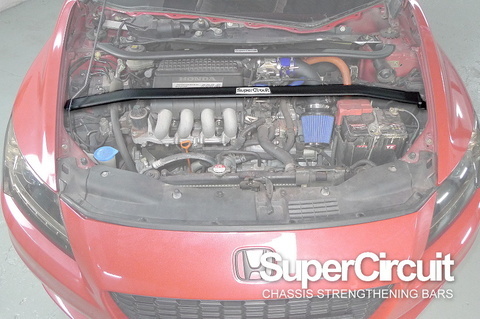 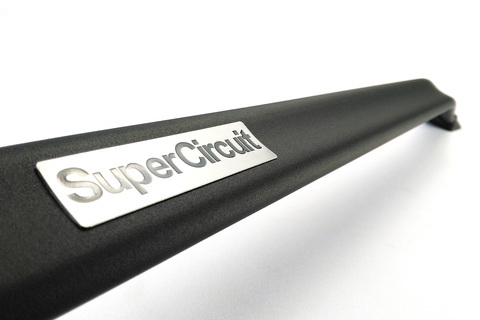 SUPERCIRCUIT HONDA CR-Z ZF1 Front Engine Bar/ Front Engine Bar. 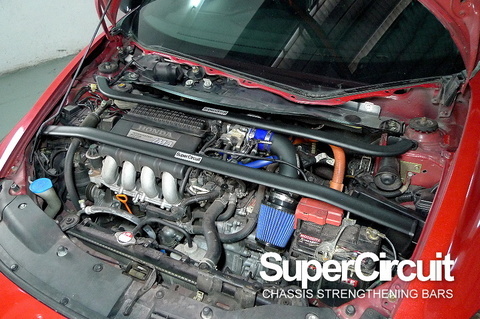 Strengthen the front upper chassis, especially at the upper engine compartment, to minimize front chassis flex. 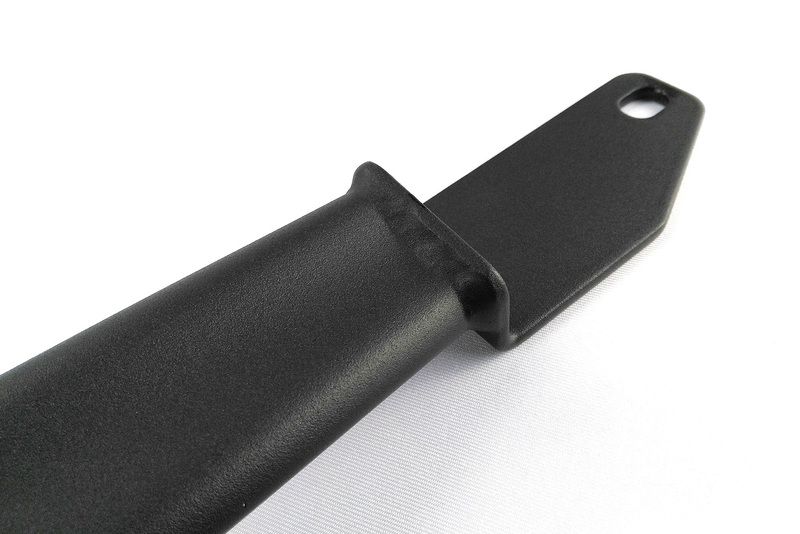 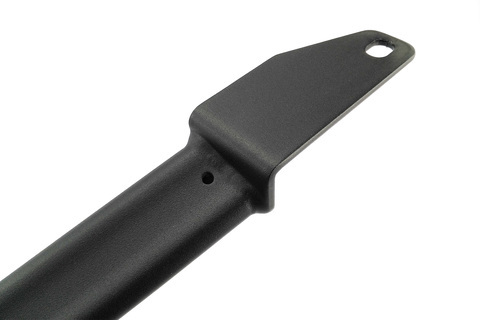 Brackets are made with laser cut thick metal sheet for precised fitment. Industrial grade MATTE BLACK coating is scratch resistance and for a more sophisticated and professional aesthetic at the engine bay. 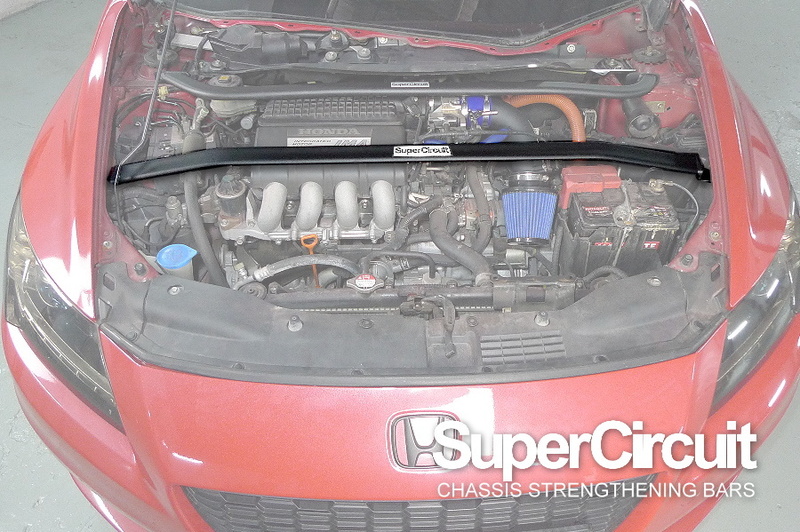 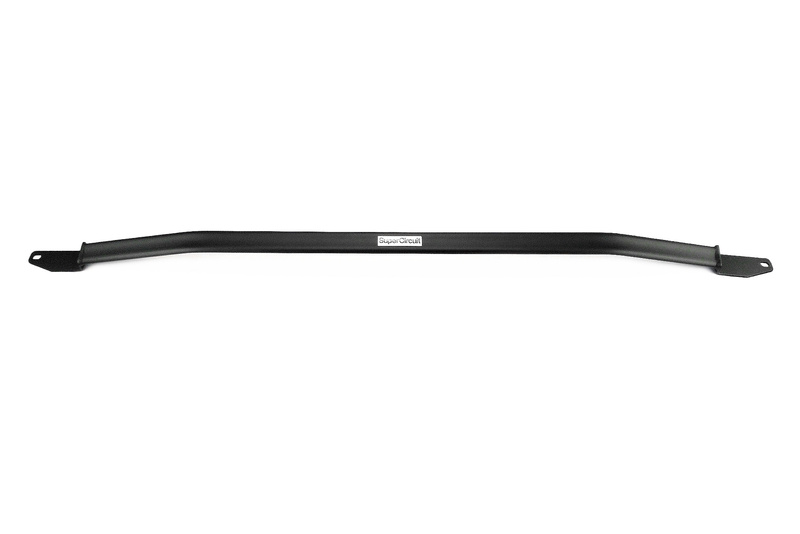 For optimum front chassis strengthening effect, install the SUPERCIRCUIT HONDA CR-Z FRONT STRUT BAR, FRONT UNDER BAR (2-point), FRONT LOWER BRACE (4-point), REAR STRUT BAR & REAR LOWER BRACE.